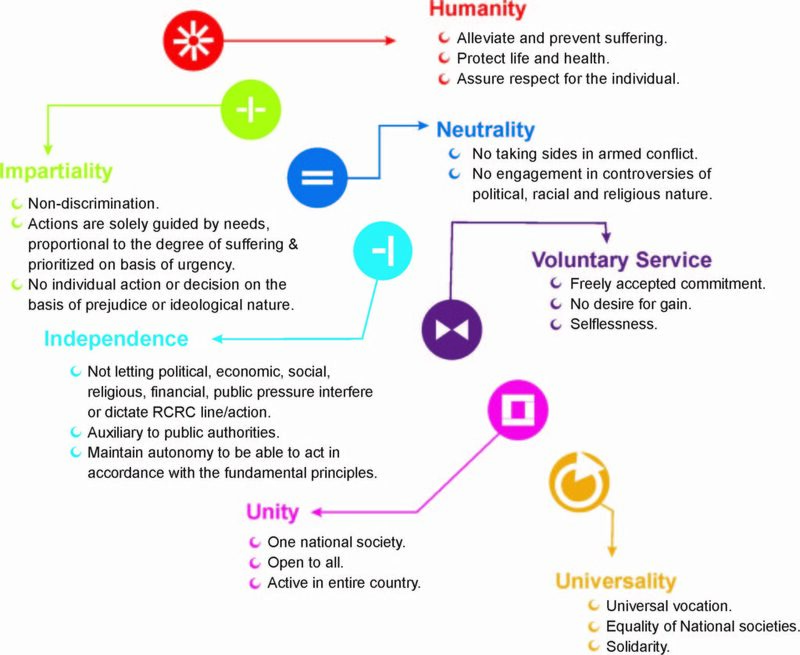 The Society in its working draws inspiration from seven fundamental principles of the ‘Movement’, namely: Humanity, Impartiality, Neutrality, Independence, Voluntary Service, Unity and Universality. Pakistan Red Crescent (PRC) is a statutory body constituted and governed by an “Act of Parliament”. It was founded in Pakistan on December 20, 1947 by an Order called “The Pakistan Red Cross Order” issued by Quaid-e-Azam, as Governor General of Pakistan and Founding President of the Society. Pakistan Red Crescent is part of an ‘International Red Cross Red Crescent Movement’ which has three components, i.e., International Federation of Red Cross Red Crescent Societies (IFRC) dealing with Disaster Response, Health Services, Organizational Development and Dissemination of Humanitarian Values, International Committee of the Red Cross (ICRC), dealing with conflict, prisoners of war and Geneva Conventions, and National Societies. Pakistan Red Crescent became part of the ICRC on 21st July 1948 and was admitted as member of IFRC on 18th August 1948.